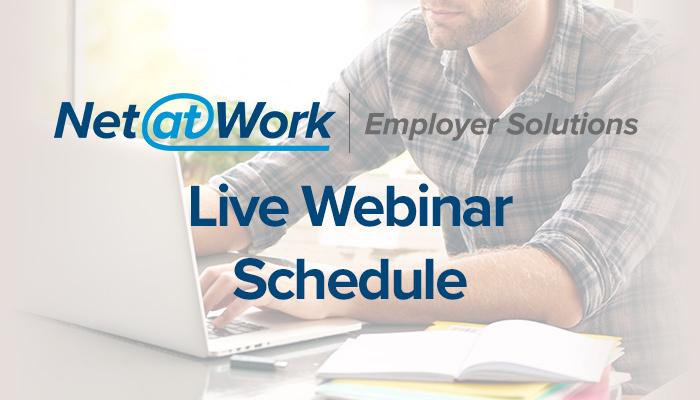 Browse webinars, register now, or mark your calendar for a future scheduled sessions. Browse webinars, register now, or mark your calendar for future scheduled sessions. Plus! Join our Fast & Focused Webinar Series - Fridays. 45 Minutes. Join us for these quick workshops focused on HR technology and efficiency. Each session will concentrate on a topic that users can apply to their systems. Register anyway and we will be sure to send recordings of the sessions to you. All webinars are complimentary. Pre-registration required.